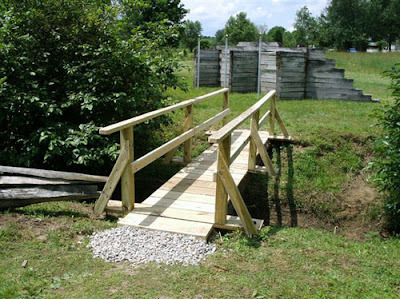 A traveling carpenter builds a very special bridge. About sunset when the farmer returned, the carpenter had just finished his job. The farmer’s eyes opened wide, his jaw dropped. There was no fence there at all. It was a bridge — a bridge stretching from one side of the creek to the other! A fine piece of work handrails and all — and the neighbor, his younger brother, was coming across, his hand outstretched.